You can use it on TV (Chromecast Ultra) , laptop, desktop, tablet or mobile phone. Access their games at all times, and on virtually any screen. 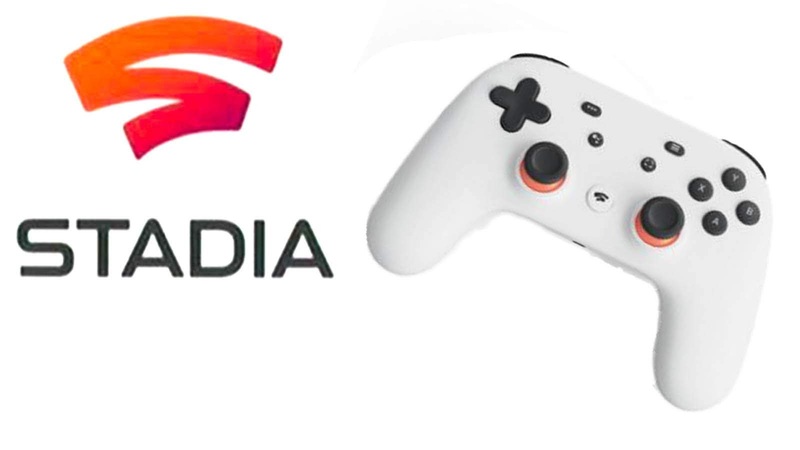 Will support cross-platform play and bringing game saves from other platforms. Plays your Favorite Game on Resolution of up to 4K and 60 frames per second with HDR and surround sound. No Need to downloads, updates,patches and installs. Includes a button for instant capture,saving and sharing gameplay in up to 4k. 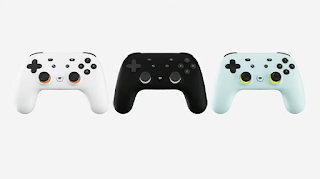 Google Assistant button and built-in microphone. YouTube watchers can press “Play now” at the end of a video, and be brought into the game within 5 seconds. The service provides “instant access” via button or link, just like any other piece of content on the web. 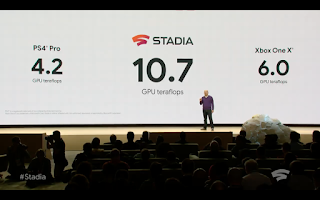 The Stadia run of a custom 2.7GHz hyperthreaded x86 CPUs, while Google also worked with AMD on a custom GPU, which features 56 compute units. 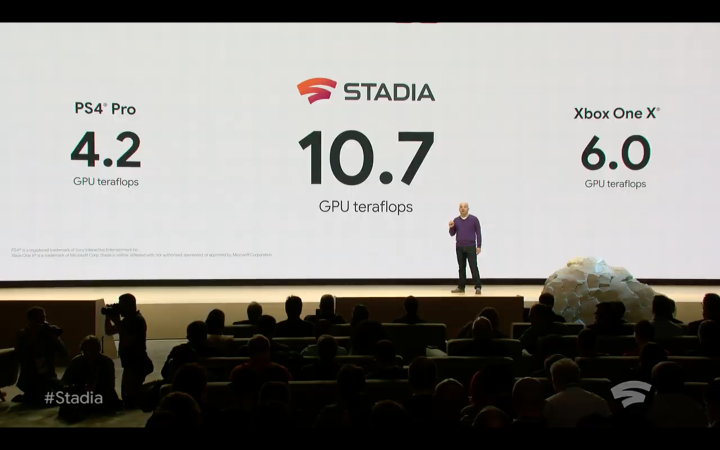 There is 16 GB of combined VRAM and system RAM, with performance rated at 10.7 Teraflops of power. For comparison, the Xbox One X is 6.0 teraflops, while the PS4 Pro is 4.2.